TelcoBridges Tmedia™ family of VoIP media gateways are the industry's most reliable & stable gateways, boasting over five nines (99.999%) availability before adding in high availability scheme such as redundancy. Tmedia is also highly scalable & flexible, whether you are an MVNo, Operator, or Tier 1 Carrier, TelcoBridges has the ideal product for you. Choosing the right VoIP gateway for your application is as simple as deciding the type of interface and the number of ports required! Offering from 32 to 32,768 VoIP channels, Tmedia is one of the most competitive gateways in the market. 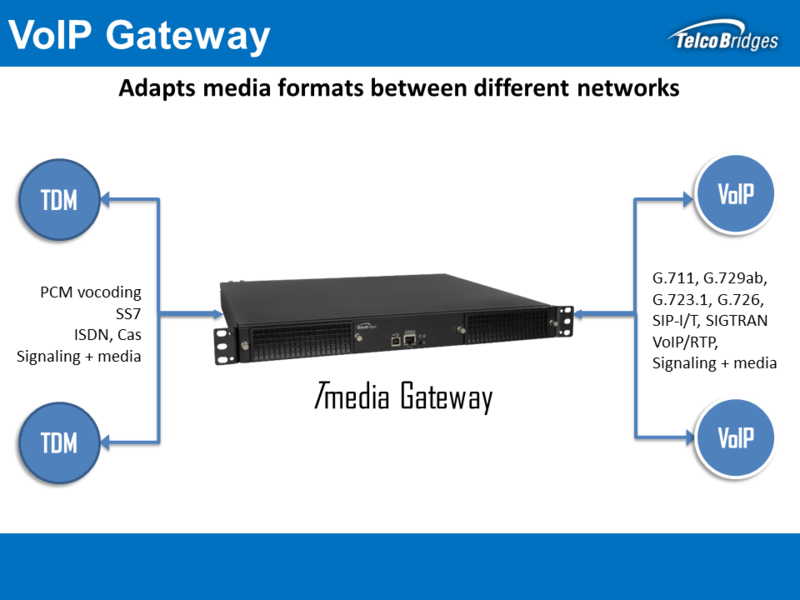 Not only is the Tmedia series of products stable, reliable, scalable, and flexible, but it is also the highest performing gateway in the industry. 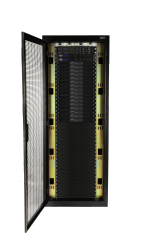 Tmedia hits performance benchmarks up to 100% more performing that those attained by the competition for TDM-IP and IP-TDM. Additionally, all of TelcoBridges' Tmedia Gateways come with the unique TB analytics suite of monitoring and diagnostic tools. This industry exclusive allows you to better manage and control your entire network. Learn more about TB analytics by clicking here, or contact one of our Trusted Advisors to disscuss further. Divided into three product series (TMG800™, TMG3200™ and TMG7800™), Tmedia provides a VoIP gateway solution to meet the needs of Carriers, CLECs, ILECs, ICX, Operators, MVNOs, MVNEs, and providers worlswide. The TMG800 is software upgradeable from 1 to 16 T1/E1's. The TMG800 is the most cost effective SS7 gateway, one box (1U) VoIP gateway solution. The TMG3200 is our workhorse VoIP gateway. Internationally recognised for its uncompromising reliability, high-capacity and high-performance, the TMG3200 supports up to 64 T1/E1 (or 1 to 3 DS3, or 1 OC3/STM-1) port VoIP gateway that offers the industry's highest density SS7 gateway in a single box (1U) solution. The TMG7800. This multi-unit VoIP gateway solution is 100% redundant, ensuring an infallible, carrier-grade network. A VoIP Media Gateway is a telecommunication networking unit that performs translation between different technologies, protocols, and networks. VoIP Media Gateways can perform translations from TDM to Voice Over IP [VoIP], as well as perform translations across various codecs. Networks such as Public System Telephone Network [PSTN], Next Generation Networks [NGN], and wireless networks, can all be interconnected together using a VoIP Media Gateway. VoIP Media Gateways enable multimedia communications across various networks over multiple protocols. Allowing end users with PSTN phones to make calls over VoIP. or International gateway exchange, is a telephone switch that provides cross-border connectivity by forming a gateway between a national telephone network and one or more other international gateway exchanges. A very broad term use to define various devices that transmit or routes Voice over IP [VoIP]. Provides the role of the media gateway in next generation networks [NGN]. A network component responsible for transmitting the information related to call establishment, billing, location, short messages, address conversion, and other services.